Translated by H. F. Cary With an introduction by Claire Honess. Dante Alighieri (1265-1321) is one of the most important and innovative figures of the European Middle Ages. Writing his Comedy (the epithet Divine was added by later admirers) in exile from his native Florence, he aimed to address a world gone astray both morally and politically. At the same time, he sought to push back the restrictive rules which traditionally governed writing in the Italian vernacular, to produce a radically new and all-encompassing work. 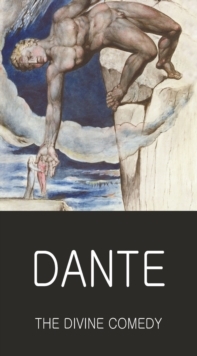 The Comedy tells of the journey of a character who is at one and the same time both Dante himself and Everyman through the three realms of the Christian afterlife: Hell, Purgatory and Heaven. He presents a vision of the afterlife which is strikingly original in its conception, with a complex architecture and a coherent structure. On this journey Dante's protagonist - and his reader - meet characters who are variously noble, grotesque, beguiling, fearful, ridiculous, admirable, horrific and tender, and through them he is shown the consequences of sin, repentance and virtue, as he learns to avoid Hell and, through cleansing in Purgatory, to taste the joys of Heaven.